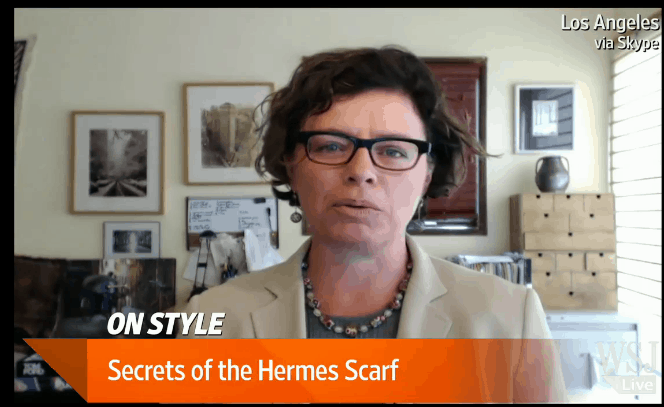 In a recent interview with On Style columnist Christina Binkley of the Wall Street Journal, we learned how Hermes chooses the designs for their iconic scarves. Once Hermes decides on a freelance artist to pursue, they commission a design and use it immediately or sometimes archive the pattern for later use. One such artist is Kermit Oliver of Waco, TX, completing 16 designs for Hermes. Oliver began as a painter based out of Houston,Texas. His paintings depicted very bold and simple images that were rich with color. In 1970 after a one-man art show, Oliver became the first African-American artist represented by a major gallery in Houston. Oliver’s paintings gained popularity through an art gallery, Hooks & Epstein. The “painted collage’s” had such eccentric detail, the value increased immensely. One painting went for $70,000! In the eighties Kermit Oliver was first discovered by Lawrence and Shelby Marcus, the founders of the Dallas department store Neiman Marcus. Lawrence Marcus was notified of Hermes’ search for scarf designers, Oliver immediately came to mind. Oliver’s panache and his Flores et Flore du Texas design, a romantic vintage detailed depiction of the state for the sesquicentennial, quickly caught the attention of Hermes. Oliver painted from the outside in, the boarder of this image consisted of more than 50 native animals. Hermes’ purchase of the Flores et Flore du Texas, made Kermit Oliver the one and only American to design scarves for Hermes. Oliver’s design became so popular, Hermes requested 15 more designs. Each design takes him about 6 months to a year to finish and is sold for around $400. In addition to creating these designs, Oliver’s day job is as a U.S Postal Service employee, rarely acknowledging the extent of his accomplishments. Over the years Oliver continued to work on these designs until tragedy struck. Oliver’s youngest son committed a serious crime and he needed money immediately so Hermes and Kermit struck a deal. Hermes was given the rights to all of Oliver’s designs, allowing Hermes to use them at there own discretion. Although Oliver has never been an attention-seeker, his designs have been featured on everything from boxers to ashtrays. 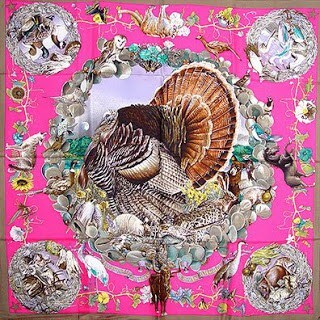 He has now become one of the most respected designers within Hermes and Texas with 141 Hermes scarf designs completed.